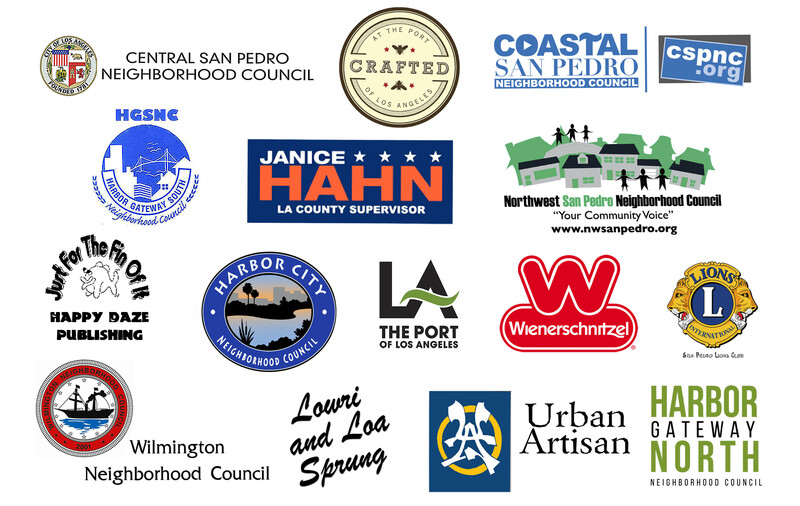 ﻿ San Pedro Art Association - Serving Artists, the Arts and the South Bay Community since 1936. Please click on the button below to join or to renew your yearly membership. Membership dues start at only $45 for a single membership, $55 for a family membership. Membership includes a gallery page with artist images, statement and photo on our Wix site. that has been in continuous operation since 1936. More than 27 of our artists display and sell their work at this venue that offers hand made art and craft items made by local artisans. The site offers other exhibition, education and entertainment opportunities throughout the year. It is conveniently located at Harbor Boulevard and 22nd Street near the Marina. This year’s harbor wide competition will include students from San Pedro, Wilmington, Harbor City, Harbor Gateway South and North, East Torrance, Gardena, Carson, Rancho Dominquez, Lomita and Rancho Palos Verdes. The exhibition will be held again at Crafted at the Port of Los Angeles in San Pedro (112 E.. 22nd St.. San Pedro, CA 90731). See videos of the previous competitions by clicking on the links below. Congratulations to the more than 700 students who entered and the 126 students who were accepted last year. We look forward to seeing even more students submitting great art this year. Rules and Forms on the Student Art Competition page are available in English and Spanish as well as a letter to Principals, Admin Staff, Teachers and Parents. Thanks to all the sponsors that continue to make this student art competition/exhibition go and grow. Your funds and resources are deeply appreciated. SPAA is committed to providing opportunities for children and adults alike to explore their artistic potential. Your donation will help fund those opportunities in the form of competitions, exhibitions, classes and other art events. Please take the time to make that contribution (large or small) by using the Donate Now button below. Inspire, motivate, recognize and reward. Your help will make a difference! By clicking on smile.amazon.com above, you are automatically supporting the San Pedro Art Association with your purchases. Amazon will contribute .5% of the purchase price to our account. You will need to go to smile.amazon.com each time and it will automatically choose SPAA. Best to bookmark the page to make it easy. It's a way of helping to fund art education just by shopping with Amazon. Come join us at the weekly Farmers Market held each Friday from 9AM to 2 PM on 6th Street in old historic downtown San Pedro. Besides good food and produce, vendors and artists are there to market their wares and art as well. Established in 1936, we are one of the oldest art associations in Southern California. SPAA gallery space is located at Crafted at the Port of Los Angeles in San Pedro. There are no featured posts selected to display in this area (yet).